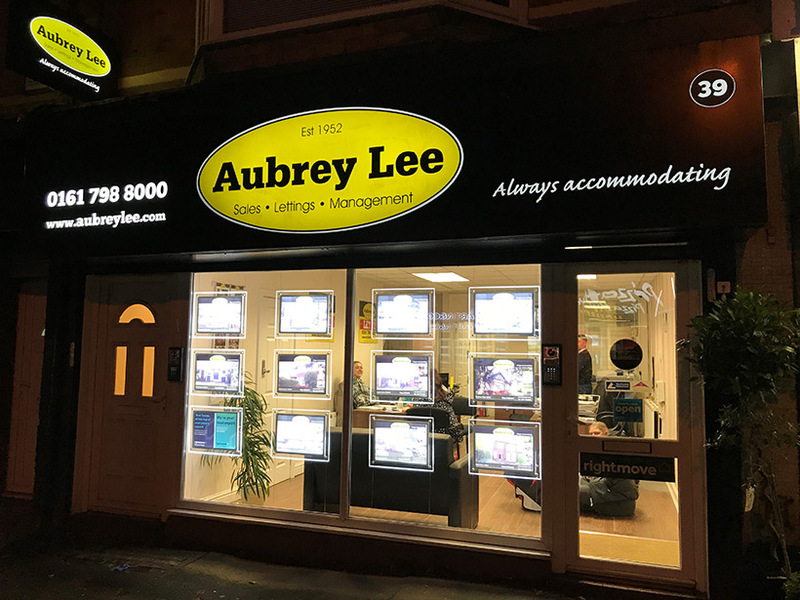 Since 1952, Aubrey Lee have been helping people just like you achieve their goals in the property market. In this time, we have established ourselves as the premier estate agent, valuer, and letting agent in north Manchester, combining experience and friendly customer service to satisfy the wishes of our many clients. For all your property requirements, we offer bespoke packages to suit your individual needs.With our dedicated sales & letting departments we are able to provide a personalised service in all aspects of residential property. At Aubrey Lee, we value you and your property, and whether you’re enquiring by phone, e-mail, or in person, you can be sure of the highest standard of service every time. Buying, selling, or renting – with us, your property needs are in safe hands. Used Aubrey Lee a few times now to rent out my property. I have to say there is no one better for communication, either on the phone which is always answered promptly or the very pleasant welcome when going into the office. Thanks this time to Abby and Rachael for all your help In getting my property rented quickly. Happy New Year. It is my pleasure to express how happy being a customer and in contact with team of Aubrey Lee & Co. Prestwich . I have been at the office twice and communicated by phone,email many times .Whenever I requested any thing I had been replied in a proper way and time frame. Knowing the team personally is big plus. Thanks for your professionalism ! I recently purchased a property via Aubrey Lee & Co I would highly recommend this agent to anyone selling or buying. The staff from start to finish were proactive and professional. The simplicity of my buying experience was profound, entirely hassle free thanks to work by the team at Aubrey Lee. Thanks to Toli, Stephen and Rachael and all the team for providing an excellent service as always!! Their fees are very reasonable considering other local agents. They are a pleasure to deal with. Would definitely recommend this agent for sales and lettings.